This monument shows an option when purchasing a companion monument when one person has passed away. 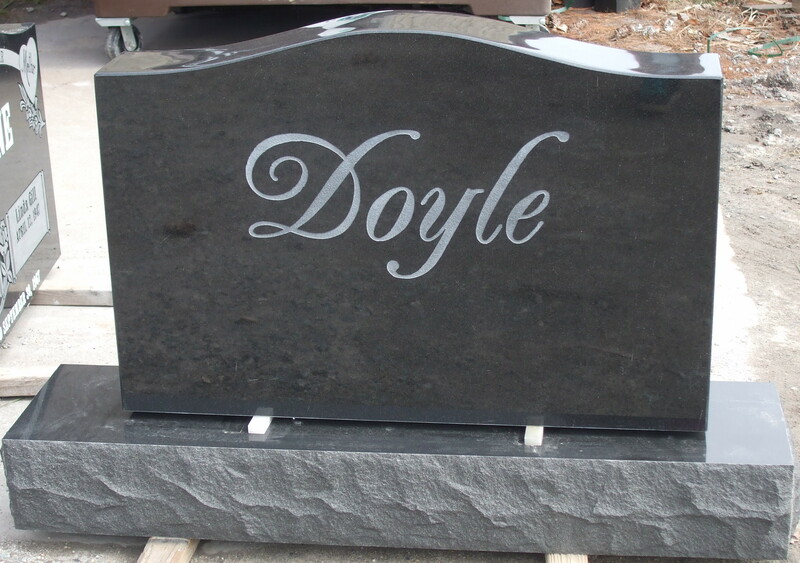 Even though many people wish to share a companion monument with their spouse, some do no wish to have their name included on the monument prior to their own passing. Therefore, rather than including both names, only the name and dates of the person who has passed away are placed on the monument. Typically, both names and dates of birth would always be included, with the date of passing being added for the second person at a, hopefully, much later date. 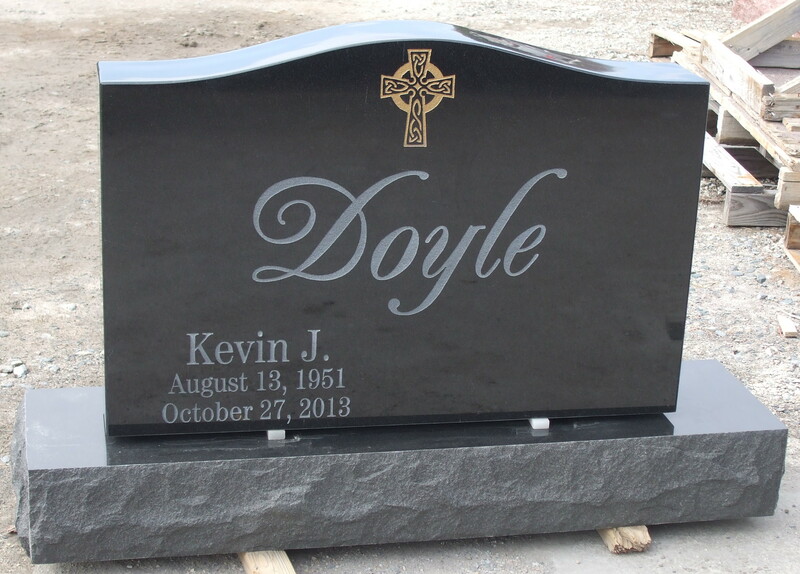 With this option, as you can see with Doyle, none of the information will be added until they have passed away. This is just another option for completing a monument which is a partial pre-need. It is really up to the family to decide hwo they would like to proceed.